The flowers of orange trees, are attractive and enticingly aromatic. If you've ever been in Florida on a beautiful Spring day, you'll be reminded of the orange blossom scent when you smell our fragrance oil. It's sweet, citrusy, fresh, and romantically pleasant. Orange blossom flowers have long been associated with good fortune and are commonly used in bridal bouquets. Sensual and uplifting. 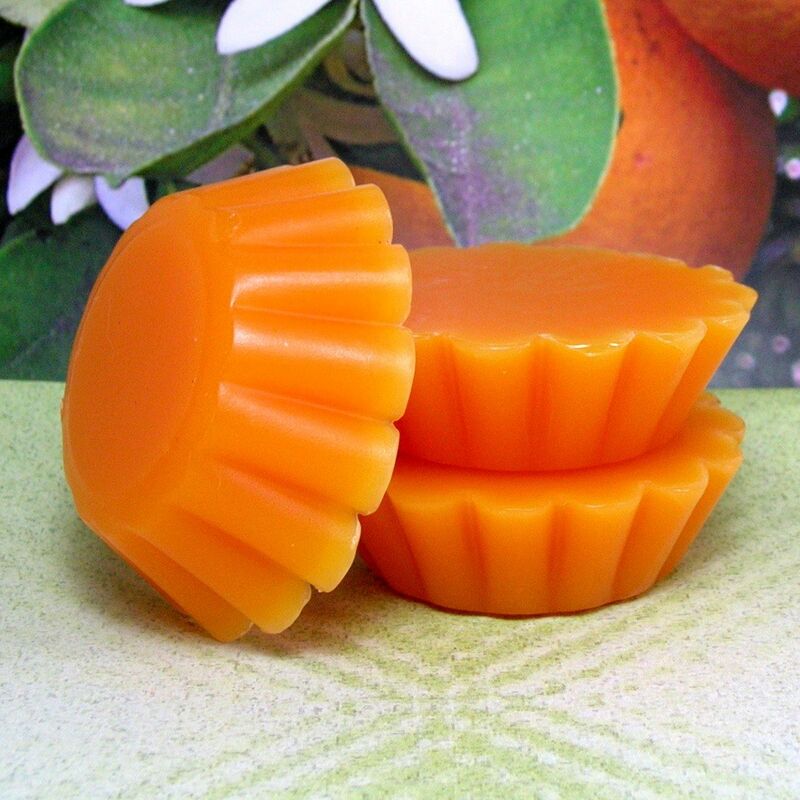 Only top quality SOY wax and fragrance oils are used to make these highly fragrant tart melts. These TRIPLE SCENTED tart melts are perfect for the individual who prefers not to have lighted candles in their home, dorm room, or office. Simply place one in your tart warmer and enjoy the scent. My Soy Waxes: *Are 100% vegetable, made with Pure Soybean oil, GUARANTEED! *Are all NATURAL and biodegradable. *Are NOT tested on animals. *Contain NO palm wax. *Contain NO petroleum, paraffin or beeswax products. *Contain NO toxic materials. *Contain NO Genetically Modified Material. *Containers are easily cleaned with soap and water after the entire candle has been burned. *Renewable *Sustainable *Is made using soy beans from U.S. farms only! When you purchase our candles and tart melts, you are supporting countless farmers across the country. You will receive FOUR (4) tart melts each individually shrink-wrapped. Each tart melt weighs approximately 1 ounce or more. It's really hard to be exact with the shipping prices. The shipping price you see is only an estimate. If the actual cost is more than US 1.00 off, I will gladly refund you the difference.